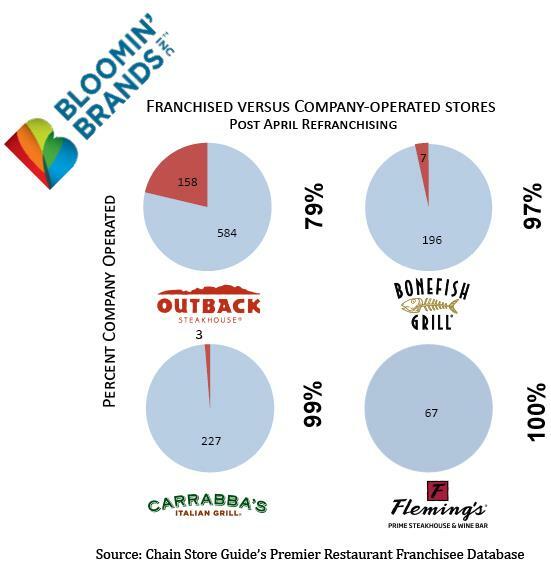 CSG Snapshot: Bloomin’ Brands Inc. Looking for a way back in from the cold, Bloomin’ Brands Inc. has joined the recent trend in refranchising a number of stores, albeit in a Bloomin’ Brands sort of way. 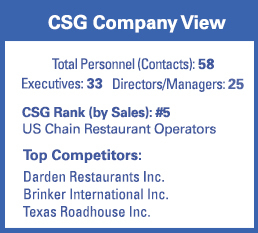 Turning over 54 restaurants to long-term partners with 20+ years each in the Outback business, as it did last month, is a far cry from trying to unload of the balance of company-operated stores as we’ve seen with some chains recently. However, for a company that has historically held operations close to the vest (still operating 1,074 of 1,242 US units after the deal), it’s a sign that a real need for real change to right the ship may be resonating in the C-suite.